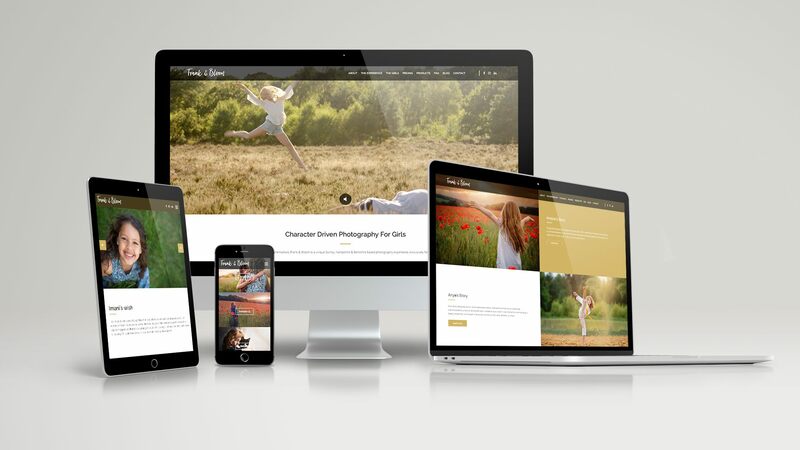 b:web are a highly talented web design agency based in Surrey and it just so happens that every single one of our clients are also very highly talented. We work almost exclusively with brands and businesses that are at the top of their game or who are driving forwards with that passion. The success of our web design agency is really down to the continued momentum of our clients. Each year we work with increasingly complex web design briefs which in return allows b:web to grow with our customer base. 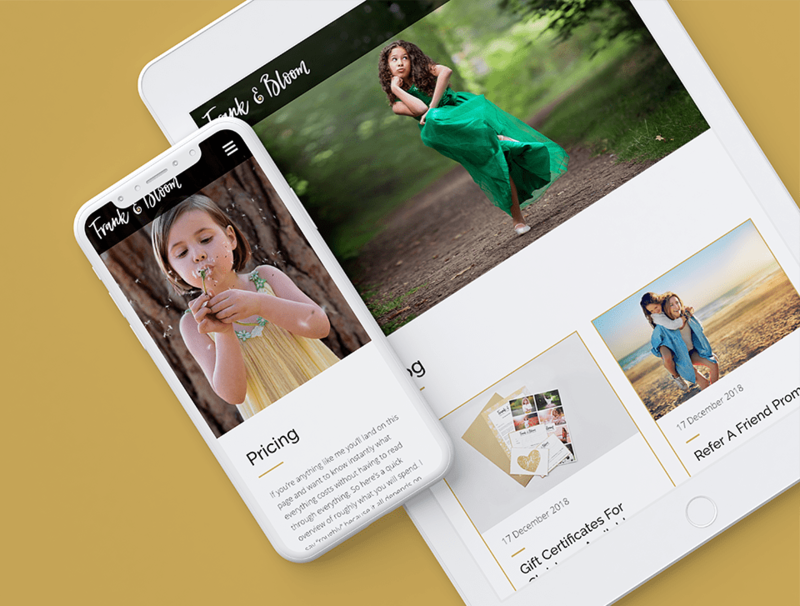 Take a look at a recent website that we have launched for an incredible photography business, Frank & Bloom, based in Surrey. Frank & Bloom is the brainchild of Jo Temple. Jo has set her business apart from the competition by carving out her own special niche. Frank and Bloom specialise in photography sessions for girls aged 4 to 18 with Jo’s the unique vision of capturing not only the immediate beauty that is skin deep but also the beauty that makes up the personality of each girl. The Frank & Bloom website leads with a stunning video introduction on the home page which then signposts content for the rest of the website including a webpage dedicated to Jo, a webpage to describe the photography services and also a case study section to showcase the photography and lets clients know what to expect. Jo has taken the time to carefully create content for a thoughtful FAQ section which further allows potential customers to delve into the services before making an enquiry. We have included a CTA (call to action) section on most of the webpages to allow potential visitors to get in contact without any fuss. The b:web team have poured our hearts into this project. 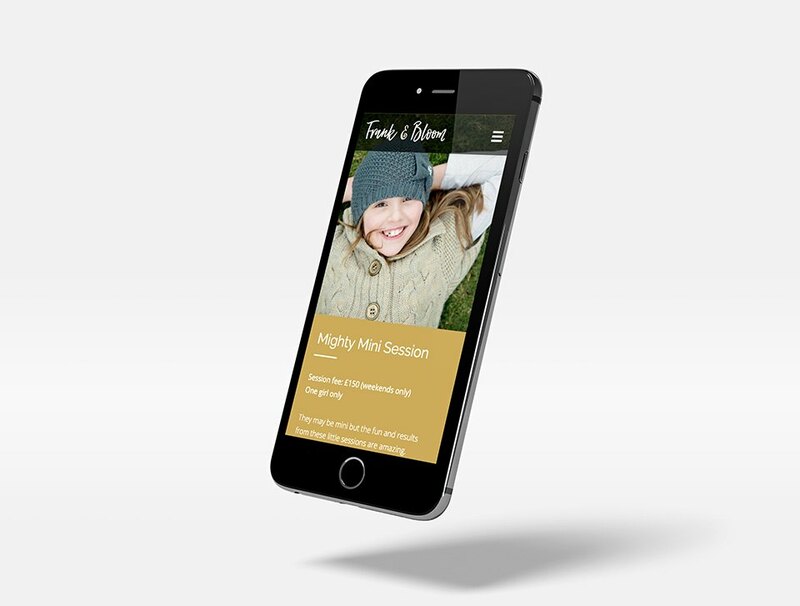 Frank & Bloom are a fledgling business and as such didn’t come to us with a huge budget and have tried really hard to keep their costs down by completing the majority of the website content upload in-house. b:web have supplied the training and support to make this possible. Similarly there was no budget for an ongoing SEO program so instead b:web have created an SEO strategy and training that will allow Frank and Bloom to grow in house. Thankfully b:web have a small business website package which includes a highly flexible website platform that we call b;modular. Some of our biggest clients have previous come to b:web for a small business website and initially would have kept as much work as they can in-house. I can think of at least 10 of our lovely clients who are now on their 3rd/4th or 5th iteration and for whom we are now working on a Growth Driven Web Design program. We love that working with web design clients in all stages of their business and we love the continued support that we can offer as the digital landscape changes year of year. Take a look at the Frank & Bloom web design portfolio.